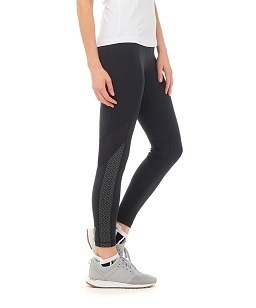 These sleek, high-performance leggings are soon to be your new go to. 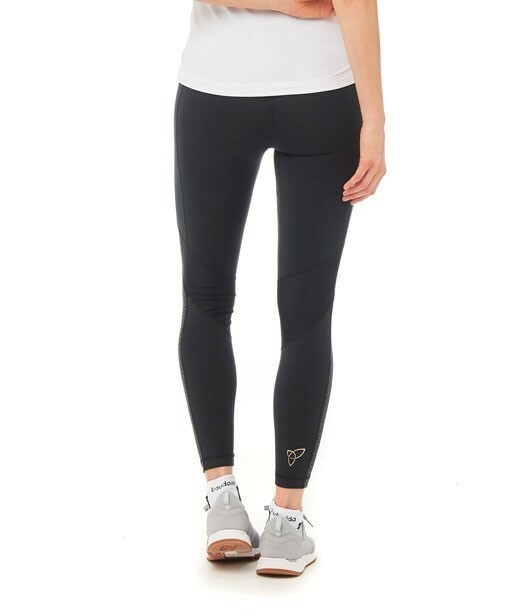 With moisture wicking polyamide and elastane blend the full-length Kinetic Leggings ensure an ultra-comfortable workout. Designed with flattering style lines, functional zip pocket and a reflective print make them perfect for evening runs. Thermal lined for warmth, your winter workout will never be the same again! Loved the style and shape. Nice handy zipped little pocket at the back perfect for keys and some small change for emergencies. These Leggings felt really comfortable to wear so soft – no rubbing and didn’t slip down. Nice and warm perfect for those cold winter runs. Found the material very breathable even with the thermal lining. Super quality, washed well and dried really quickly. The reflective pattern print made them visible in dark conditions.